De Kamperfoelie is an atmospheric holiday home located on a quiet spot and on a walking distance of a beautiful dune path leading to the broadest, cleanest and most quiet beach of the Netherlands. In the direct surroundings you’ll also find vast forests. There are plenty of hiking and cycling possibilities. Also, a visit to the neighbouring villages and cities is worth it! The authentic house combines traditional elements with modern comfort and has a cosy living with a fireplace. The kitchen is fully-equipped and offers you the possibility to enjoy a meal together. Furthermore, the house has a modern bathroom and two toilets. The boxspring beds offer you great comfort. Besides, there are dvd’s, games and a table tennis table present. Lumbering to use your own wood in the fireplace or selfmade barbeque also belongs to the endless possibilities. The fully enclosed garden has a large furnished terrace which can be accessed through the sliding doors. Due to the playing facilities, the garden is also very child-friendly! 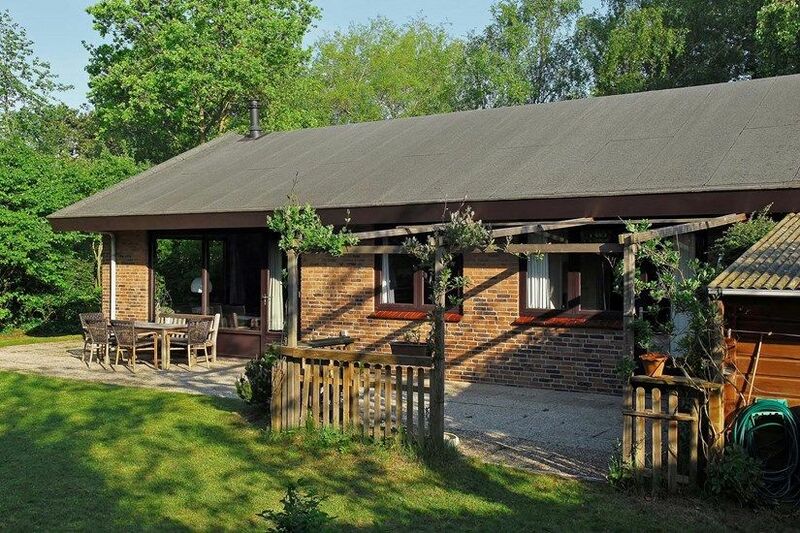 In de Kamperfoelie, you’ll enjoy a lovely holiday during all seasons! ATTENTION! Construction work is currently taking place in the area of this house. Please take this into account! Wand auf. Im Sommer bei viel Lüftung mag das noch gehen, im Winter ein no go. So für Urlaub in der kalten Jahreszeit ungeeignet.Der Urlaub konnte nicht angetreten werden, auf Rückerstattung der Kosten warten wir bis heute.